Faux vs. Natural Slate: What’s worth the Investment? Selecting the proper roof for your project is no light decision. Indeed, the materials you put into your building can one day make the difference between costly repairs and maintenance-free bliss. 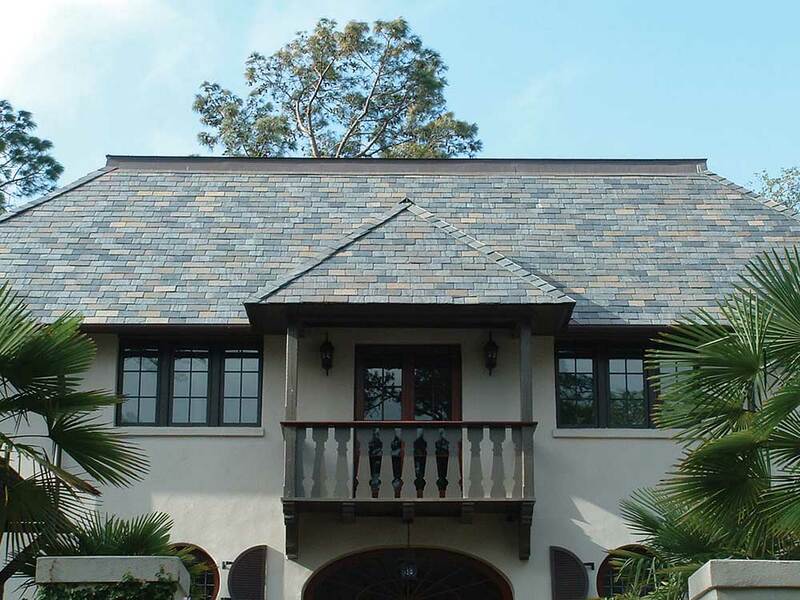 Natural slate has a lifespan that often exceeds 100 years. In comparison, imitation slate usually comes with a warranty of 50 years. Often made of recycled plastics or rubber, faux slate tiles are more susceptible to bending or warping. Many imitation slates have not achieved a “Class A” Fire Resistance Rating, the best grade a material can get in terms of fireproofing. Comparably, natural slate is entirely fireproof, and has earned the “Class A” Fire Resistance Rating. It is also non-porous and water resistant, ensuring no fissures or cracks will freeze and widen in your roof. A hard material, natural slate won’t bend or warp, and is one of the best roofing materials to defend against hail. Although synthetic slate may look like the real deal, it won’t be fooling any professionals appraising your home. 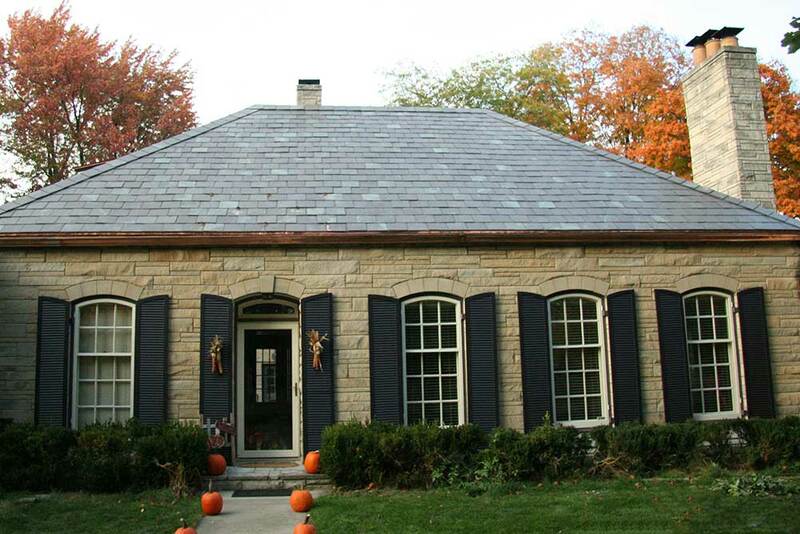 Being a high-quality product and solid investment for many reasons, natural slate can add value to any property. By choosing an imitation slate, you are— literally— selling yourself short. We aren’t going to lie to you— natural slate is slightly pricier than imitation slate. Just like most anything else, however, you’re getting what you paid for. Taking into consideration all the previously listed qualities, natural slate is simply going to hold up better, providing value, reliability and piece of mind for any building. Once installed, it is essentially maintenance-free. Considering how much sooner imitation slate will need to be replaced, natural slate easily becomes the most cost-effective option.